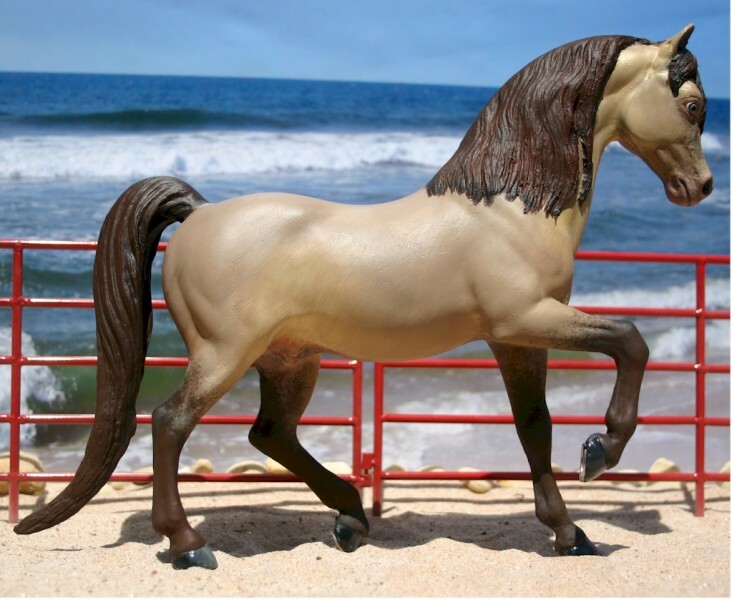 Breyer FAS repainted amber champagne with green eyes. Tail and mane lengthened. Sold on Ebay.